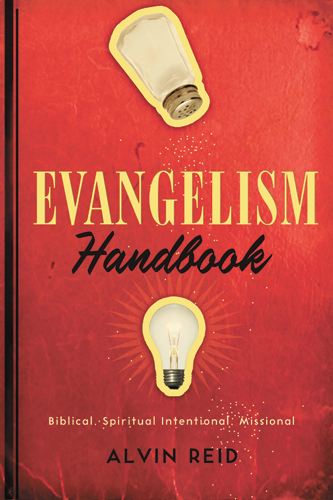 Alvin Reid’s new book, Evangelism Handbook: Biblical, Spiritual, Intentional, Missional is the subject of the newest Messenger Insight podcast. In the interview, Insight Moderator Douglas Baker asks Reid about his understanding of scriptural evangelism and evaluates modern evangelistic methods in light of a biblical theology of evangelism. Topics discussed in the podcast: Churches with a “southern” culture; The SBC—In decline? ; The SBC by the numbers: Research and Baptist Press; What is Biblical Evangelism? ; The “missional” reading of Scripture—what it is and how to do it; The missional hermeneutic—between the indicative and the imperative; Preaching—expositional and evangelistic; Acts 1:8—the last words of Jesus; The missional matrix. Reid also addresses issues regarding the Apostle Paul’s missionary methods—Acts 17 & 19; Revival—what is it? ; Revival as a meeting? ; Charles Grandison Finney and the new measures; Large evangelism programs—do they work? ; Denominational imperialism; The Christian world is flat; The theology of evangelism—what is the gospel? ; The gospel invitation, the invitation system, and its use in modern evangelism; Contextualization—what is it? ; J.D. Greear – good and bad parachurch ministry; The future of the SBC, the NAMB, and state conventions.